OXY isn't one of those skincare brands that i would usually pick up in the pharmacy but i would make this exceptional as it is 100x times more effective than any pimple cream i have used over the years. All of us girls have the woes of having bad breakouts especially during our 'menstrual' week (before/after) and that can somewhat be irritating as it's unavoidable. Imagine having a shoot or a big event that week with a huge zit on your face and you can't squeeze it as it is the headless kind. Headless pimples are like everyone's worst nightmare, you can't pop it nor see it but it hurts like HELL! People might say i have good skin because i rarely have breakouts but whenever i have them its usually the headless kind that would last up to a week despite all kinds of acne fighting cream i put on it. I was honestly pretty sceptical about this product at first because what can these patch actually do? Yea, it states "absorbs oil" but i decided to experiment it on my headless pimple. The results was astounding, seriously. I applied on the patch the night before and the next morning when i woke up, the pimple was almost completely gone and that was just within 6- 8 hours. The week long pain only lasted for 1 day, next thing i know there isn't any more headless pimple to be dealt with. From far left: Headless pimple first appeared, patch applied on at 12am (middle) and After 6-8 hours, oil can be seen absorbed into the patch. 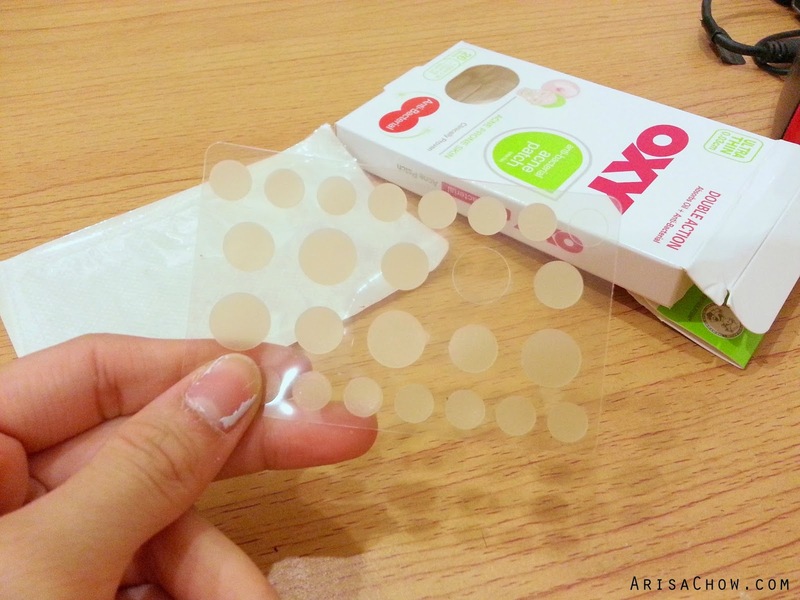 It is easy to use without much hassle as it comes with a mini green tweezers to aid in picking up the patch, but i didn't use it as it was quite easy to remove from the plastic as it is to apply on our skin. But if you feel that your fingers is making if difficult for you to do so by all means please use the tweezers provided. My verdict on this product it is definitely something i would purchase again near future as it's super effective, plus it's affordable too. So if you have a big day around the corner, don't let this headless zit ruin your day! 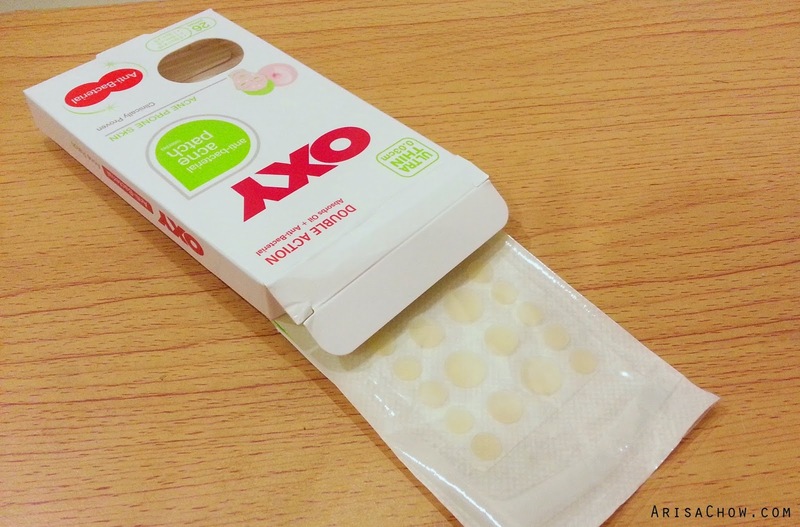 Use OXY Anti bacterial Acne Patch to get rid of those pesky zits within 6-8 hours. For more details and the ongoing promotion feel free to follow them on their official pages. 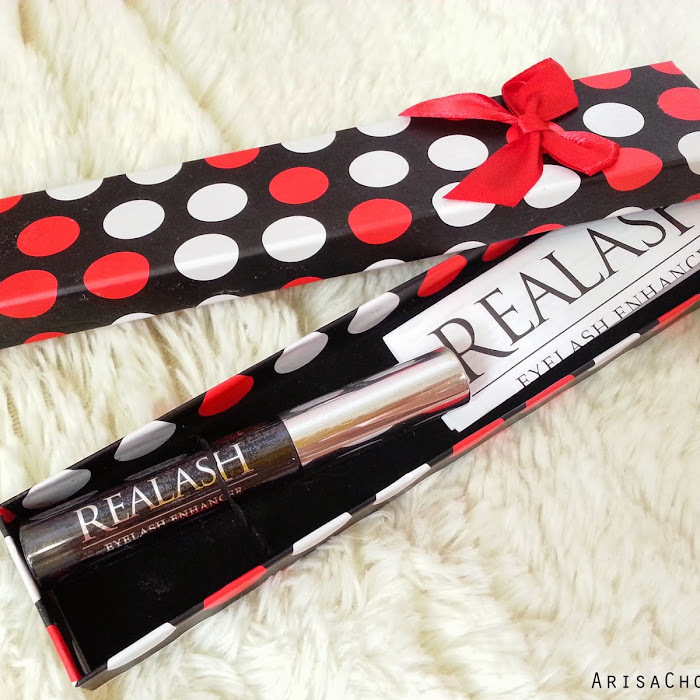 Disclaimer: This products are sponsored for review purposes but that doesn't affect my true and honest opinion.